These secateurs are designed for the homeowner who occasionally gets into the garden to trim up their plants but still wants a decent tool. Cutting up to 19mm in diameter it gives you plenty of power to get most plants you would find yourself doing on a domestic home when it comes to small saplings and shrubs. 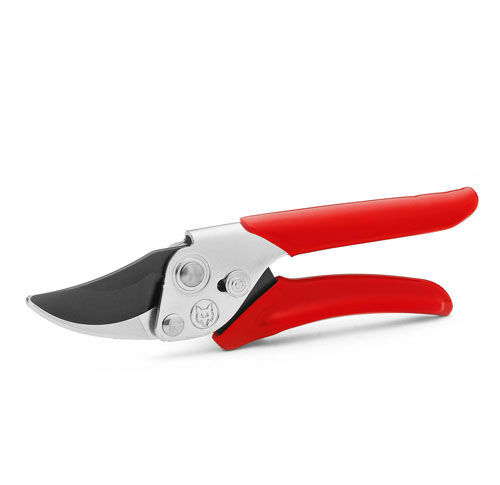 The non-stick zinc coating means these secateurs are still built to last a long time and protects the blade from unwanted damage. And being a bypass secateur it provides a cleaner cut so that the plant heals faster. And like all German made Wolf Garten products, they come with the famous Wolf 10yr guarantee.